All are welcome! No experience needed. Come have a great time and keep in shape! Games will be played weekly, weather permitting, until the snow flies! Canadians’ love of hockey is a defining national trait. Our passion for blades, ice, sticks and pucks stretches even as far as the postage we use to mail our letters. 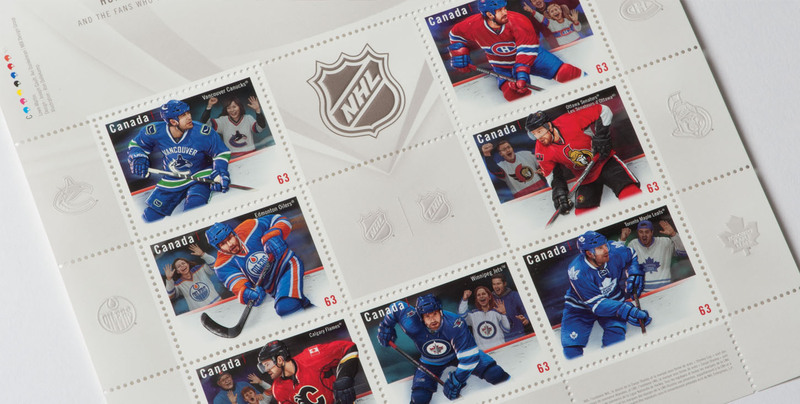 In 2012, OCAD University Faculty of Design professors Avi Dunkelman and Joe Gault — co-founders and partners of Mix Design Group — were commissioned by Canada Post to design a series of hockey-themed stamps leading up to the 100th anniversary of the National Hockey League® (NHL). Over the course of five years, that commission will total nearly 70 different stamps, including commemoratives, souvenir sheets (about the size of a hockey card) and coils. 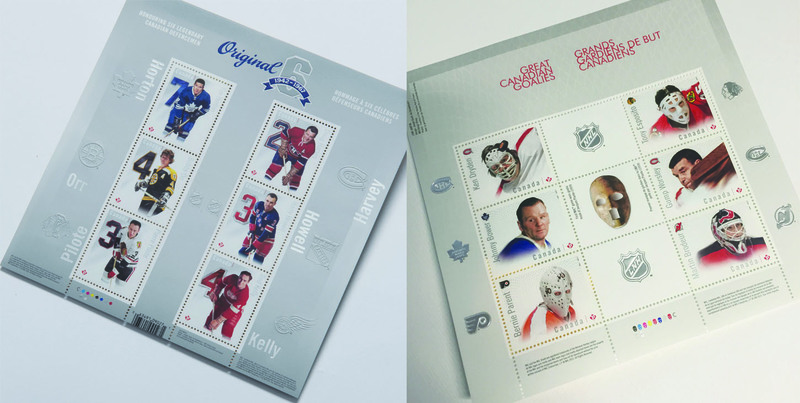 Canada Post issued the duo’s first NHL stamps on Sept. 3, 2013. They illustrate jerseys worn by seven Canadian teams, including the Montréal Canadiens, Ottawa Senators and Toronto Maple Leafs. Year 2 — 2014 — saw stamps featuring legendary defencemen from the Original SixTM era — stars such as Bobby Orr and Tim Horton. In fall 2015, Dunkelman and Gault’s work highlighted great Canadian goalies. Among the heroes are Tony Esposito, Martin Brodeur and Gump Worsley. Themes for the final two years have been chosen, but the designers are keeping the lid on their work until the stamps launch publicly. Dunkelman and Gault’s first foray into the world of stamp designing actually began a year before they skated their way into hockey-themed design history. In a short video, Dunkleman and Gault talk about their careers and collaboration, and share details about their NHL and Year of the Snake projects. 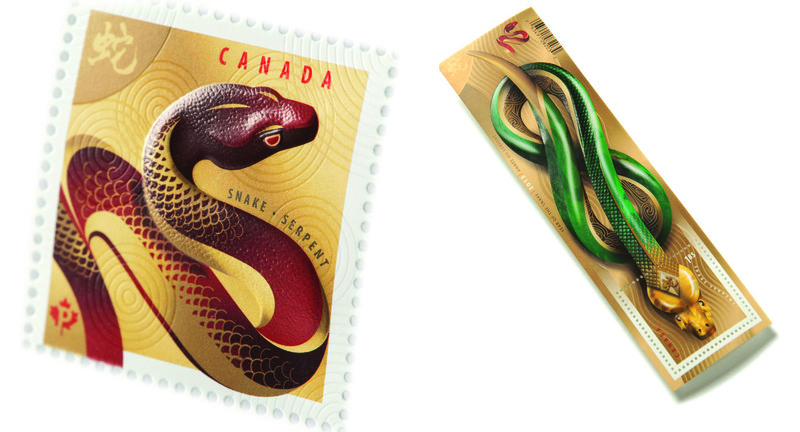 The Year of the Snake stamps have met with international acclaim. 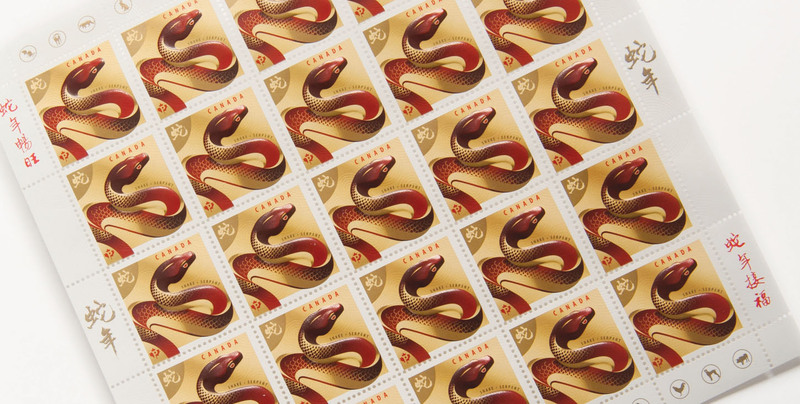 They nabbed second place in a competition organized by the Chinese Shengxiao (Zodiac) Philatelic Society (China took first prize); a Certificate of Merit from the Premier Print Awards; and second place at the 2015 Vienna International Stamp Exhibition. Games are played Mondays, Tuesdays, Wednesdays and Thursdays depending on the sport. They are scheduled anywhere between 4 and 7 p.m. dependent on you/your team's preference and/or availability. See the webpage for more details. Watch the Toronto Blue Jays take on the Kansas City Royals* (7:00 p.m. first pitch) for only $10.50 per ticket (seats are in the 500 level, behind home plate). This collaboration between OCAD U and our friends at Michener Institute (222 St. Patrick Street) will allow you to take part in a new O-DAYS! tradition. Make new connections with OCAD U and Michener students alike! Want to purchase baseball ticket(s)? 2. Ignore everything else and SCROLL DOWN to Friday, August 30. 3. Beneath “4:30 PM – Toronto Blue Jays vs. Kansas City Royals (7:00 PM first pitch)” and related info, click on “Add Person”. Enter your name, followed by “OCAD U”. If you wish, add other friend/family names by clicking on “Add Person” again. IMPORTANT: remember to type “OCAD U” after each name! 4. Now click on “Purchase Blue Jay Tickets” which will take you to a secure window already populated by the name(s) you added above in Step 3. You will now enter your payment method. 5. Pick up your tickets at OCAD U Student Centre (51 McCaul Street), Wednesday, August 28, 12 noon, to Friday, August 30, 4:00 p.m.) BRING photo ID. * This game is part of Blue Jays Summer Friday Fan Festivals. There will be a pregame licensed area (age/photo ID required), music and giveaways outside at gate 10/11 (South West side of the stadium). Gates open at 4:30 p.m.
Read more about O-DAYS! Blue Jays!